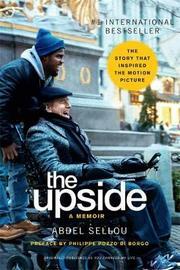 The story of how Abdel Sellou (a charismatic ex-con) came to be the caretaker of Philippe Pozzo di Borgo (a paralyzed French aristocrat) inspired the award-winning French movie LES INTOUCHABLES (2012), which became an international phenomenon and broke records as one of the most successful French movies of all time. 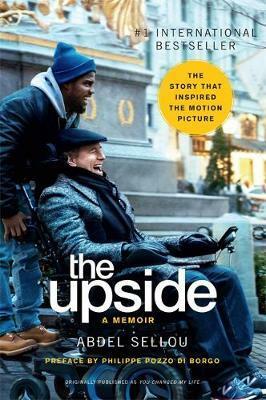 Now, THE UPSIDE, the American remake of LES INTOUCHABLES, starring Kevin Hart, Bryan Cranston, and Nicole Kidman will be released in both the US and the UK in January 2019. Abdel Sellou and Philippe Pozzo di Borgo were two people marginalized by society: Sellou a wisecracking, unemployed immigrant, just out on parole; Pozzo a man born to wealth and privilege, recently paralyzed from the neck down after a paragliding accident. How they came to help each other, and the unlikely friendship that became a lifeline for them both, is an uplifting story that's now been told and retold around the world.